In this issue: OGP Asia Health Check, OGP Regional Meetings, Top 10 Tools to Develop a New Action Plan, New Support for Civil Society Groups, an interview with Laure Lucchesi on #HackFrancophonie, Open Government and Transparency in Mexico's Extractive Industries, Faces of Open Government with Reinford Mwangonde, Featured OGP Commitment, OGP in 2015, and the latest News, Events and Employment Opportunities. Six months ago when I first joined the OGP as the Regional Civil Society Coordinator for Asia Pacific, early conversations with stakeholders in the community led to the identification of four key objectives for the region: broadening the base (both in terms of participating countries and actors engaging with OGP), deepening engagement between government and civil society, securing ambitious commitments and creating more platforms for lesson-sharing in the region. How did we fare as a region over the last months and what are the challenges and opportunities that 2016 holds? Read the full blog here. We are gearing up for a busy summer with two important regional meetings. The Africa regional meeting will be held in Cape Town, South Africa on 4 – 6 May, 2016 and the Americas regional meeting (link is external) will be held in Montevideo, Uruguay on 31 May – 2 June, 2016. OGP’s race-to-the-top is anchored by events that bring together government and civil society leaders to showcase open government approaches to tackling important public policy challenges that positively impact citizens. The events are designed to capture the spirit of energy and innovation of the open government movement. Read the full blog here. Over the coming months, over 50 OGP participating governments will work together with local civil society organizations to develop ambitious commitments that improve the lives of their citizens through greater transparency, accountability and public participation. National Action Plans are at the very heart of OGP and ensuring that they are ambitious, effective, and relevant to open government is a primary objective of the OGP Support Unit. OGP seeks to be a platform for government and civil society reformers that enables and pushes them to develop, implement and showcase these actions. Here is a list of the top ten tools and resources available to the OGP community to draft a strong new National Action Plan. Read about all the tools here. "Technology can’t make government perfect. But making government more transparent and accessible might make its failures less profound." Civil society is at the heart of open governance. Civil society can push to make government more open, can be a user of newly released government information, can work with government to implement reforms, and can hold governments to account when they don’t keep their promises. This is central to the theories of change outlined in the Open Government Partnership’s 4 year strategy and by Making All Voices Count. Making All Voices Count was in part designed to support civil society organizations to play their full role in national OGP processes. That’s why we are excited to announce a joint initiative to support civil society working on open governance in Indonesia, Ghana, Nigeria, Kenya, Liberia, South Africa, Philippines and Tanzania. 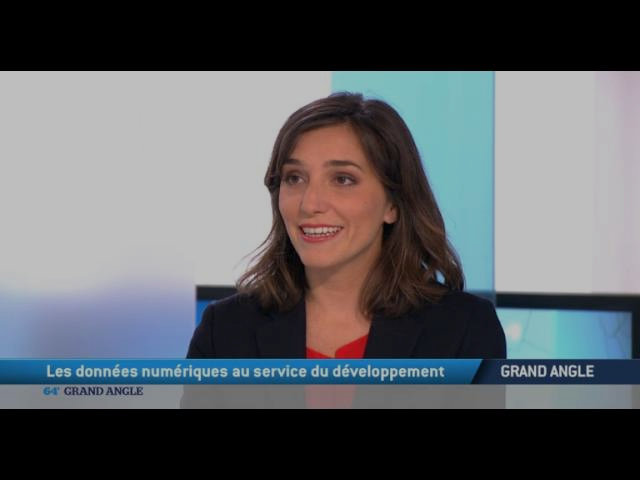 Laure Lucchesi, Director of Etalab, the French Prime Minister's task force for Open Government and Open Data, interviewed on TV5 Monde. Laure discuss #HackFrancophonie, a gathering of government and civil society representatives from eight francophone countries- Belgium, Benin, Burkina Faso, France, Haiti, Ivory Coast, Mauritius and Senegal- gathered in Paris to exchange best practices in open data. The Extractive Industries Transparency Initiative (EITI) is an international initiative that seeks to increase transparency in relation to the payments made to hydrocarbon and mining companies, as well as the income that governments receive from taxes and royalties from these companies. 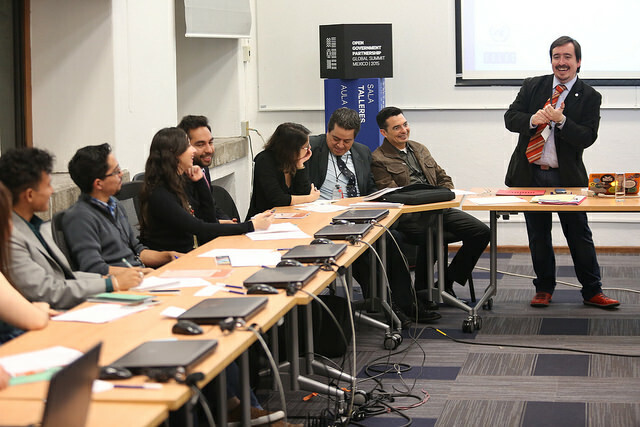 The Initiative’s importance lies not only in making the flows of cash between extractive industries and the government more transparent, but also in its process of collective governance that recognizes the relevance of the private sector and civil society in improving the management of natural resources. This aligns with the principles of open government, which promote a new model of development based on inclusive institutions. Read the full blog here. 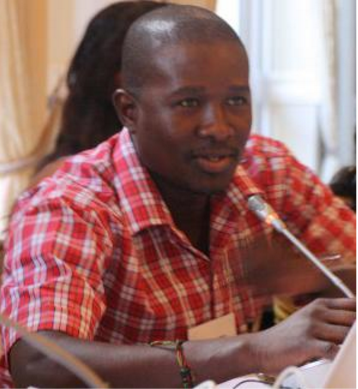 How can open government make a difference in the lives of people in Malawi? Increasing citizen access to information improves the quality of development and governance outcomes in countries like Malawi, which have governance problems. Information enables Malawians to know how the government is running the affairs of the republic and its decision-making processes. Such knowledge increases citizen’s ability to hold duty bearers to account for their commitments and responsibilities, as well as demand for enforcement of sanctions whenever accountability deficit occurs. Read the full interview here. To shed light on surveillance activities, the Supreme Court of Georgia started publishing statistics on hearing the motions regarding operative investigative activities, such as phone tapping. Initially, the Supreme Court started producing statistics on phone tapping as a response to the high public interest on this issue. 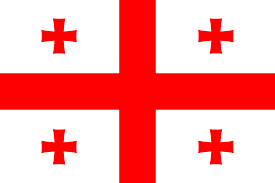 Shortly after that, as part of the commitment in Georgia's OGP Action Plan 2014-15 and following the amendments to the Criminal Procedures Code, the Court started proactively publishing yearly statistics, since October 2014, and then quarterly statistics, since 2015. The information published on the Court’s website includes the number of motions on phone tapping submitted by the prosecutors to the courts and the number of motions granted by the courts. To further improve the existing practice, civil society recommends that the next step could be breaking down the published data by types and severity of crimes, the geographic distribution of prosecutor’s offices requesting motions and the courts granting or denying those motions. This commitment might be making Georgia one of the few countries in the world that proactively publishes surveillance data. The fact that Supreme Court is the main responsible agency shows that OGP, which started as an executive initiative, has expanded to other branches of the government, including the judiciary. We are pleased to publish OGP's 2015 annual report, authored by staff at the Support Unit and Independent Reporting Mechanism. The report serves to capture a year of activities, and shine a spotlight on some of the most interesting examples of how OGP is being used in different countries. There are of course hundreds of open government reforms happening which we weren't able to capture in this report, but we hope to do so in other publications during 2016. Thank you to everyone who supported the work of OGP in 2015. We look forward to working with our partners around the world to further open up government to citizens in 2016. Read the Annual Report here. OGP has created an informal network of CSOs that work on advancing the aims and principles of OGP in the Asia Pacific region. Amongst the activities envisaged are: peer exchange and learning, awareness raising and outreach, regional collaboration, support to civil society in aspiring member countries and providing input into the civil society day for regional and global summits. More information on the activities and operation of the network can be found here. The government of South Africa is pleased to announce that the 2016 Open Government Partnership Africa Regional Meeting will be held in Cape Town, South Africa from May 5 - 6, 2016 and preceded by a Civil Society Day, which will take place on May 4, 2016. Participants can register to attend the event on this page. Please note that registration will close on 31 March 2016. Please submit your ideas for sessions at the meeting on this page by 23 March, 2016. The OGP Regional Meeting of the Americas will be held in the city of Montevideo, Uruguay May 31- June 2, 2016. Around 500 participants from government, civil society, media and companies are expected to attend. Registration information will be announced soon. The IRM is seeking nominations for new members of the IEP. These members will take on the work of peer-reviewing IRM reports during 2017 and will assume a role in guiding the IRM in 2018 onwards. Calls for nomination will be open from February 16, 2016 to April 15, 2016. Nominations may be submitted by email at irm@opengovpartnership.org. 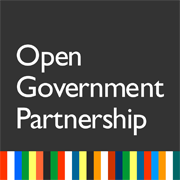 The Independent Reporting Mechanism (IRM) of the Open Government Partnership (OGP) is seeking individuals to carry out research at the national level in four countries to assess government progress on implementation of their OGP Action Plans. See here for application details. The OGP Support Unit is looking for a Communications Officer with strong writing skills and an interest in foreign affairs and technology. The ideal candidate will be comfortable producing all sorts of materials, from tweets and blogs to policy reports, powerful opinion pieces, podcasts and short videos. The position will be based in Washington, D.C. More information can be found here. The Netherlands National Action Plan for 2016-2017 has been published. Read it here. The GovLab and Omidyar Network launched a new repository, Open Data's Impact (odimpact.org), featuring case studies on open data's impacts from around the world. The cases explore how open data is improving government, empowering citizens, creating economic opportunity, and helping to solve public problems. March 15: “Consumer Protection & the Open Government Agenda” For further information sign up to ogp@dgroups.org. March 30: “Access to Information OGP Working Group: The 2016 Agenda and Experiences from the Field”. For further information sign up to ogp@dgroups.org. All IRM progress reports can be found here.